Episodes tagged: rum - Jester's Podcast, It's Not A Joke! 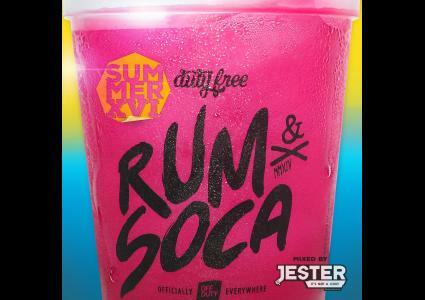 This is the official Duty Free Clothing mix - Rum & Soca 2016 features the soca summer hits. The ultimate carnival mix. The promo mix for Miami's Bottle Ah Rum Event 2014. 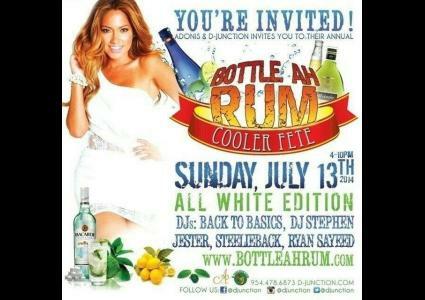 Adonis & D'Junction present Bottle Ah Rum - The All White Cooler Fete featuring DJ Stephen, Steelie Back, Ryan Sayeed, Back 2 Basics and yours truly JESTER. This promo mix sets the vibe for the event featuring Machel Montano's "Haunted", Flipo "Doh Tell Me Dat", Major Lazer ft. RDX "Lose Yourself", Alkaline "123", Kerwin Dubois "Too Real", Nutron "Just 1 Wine" + MORE!!! Enjoy! July 13th. 4-10pm.